Since the 70’s the Castello di Tornano belongs to the Selvolini family from Florence, that has made the Castello di Tornano one of the most beautiful properties, the pride of the Chianti region and not only. During the sunny season, guests can enjoy the outdoor pool , an architectural jewel built in the castle moat that offers moments full of perfect relaxation. 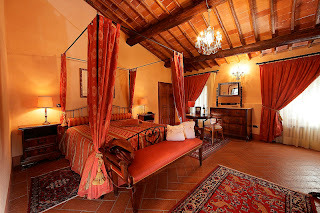 The hotel Castello di Tornano features three types of accommodation: the rooms inside the castle, the apartments in the estate and those in the farm building. 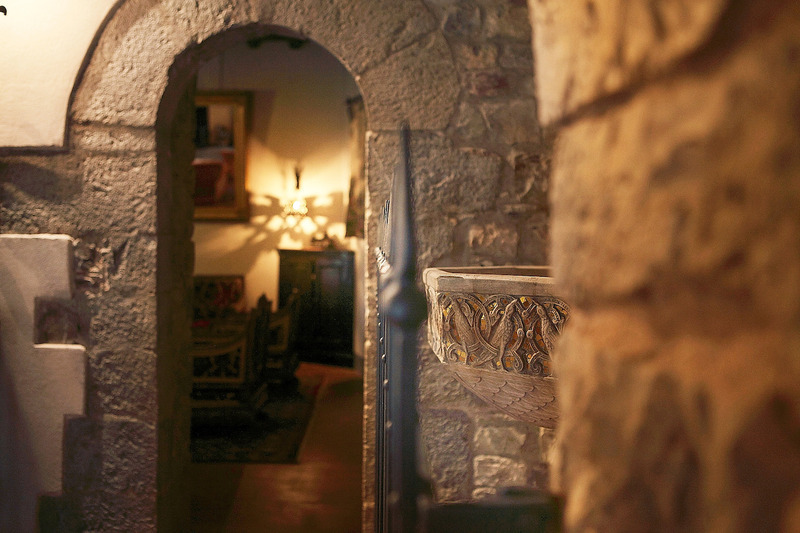 If you love luxury, we suggest you to choose the fascinating rooms in the Castle, such as the Suite in the tower, the Superior Suite and the famous Suite called Nun of Monza. 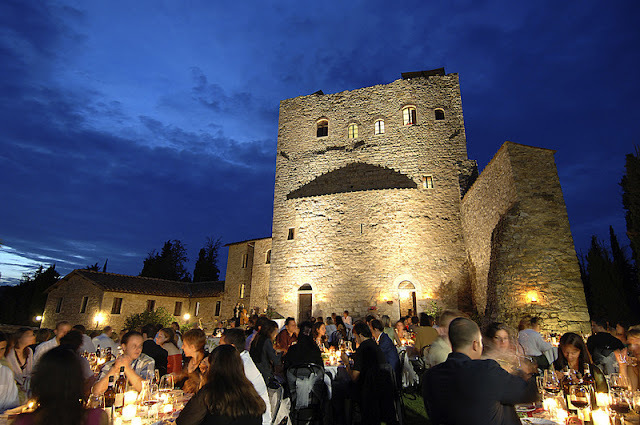 The Castello di Tornano also offers an excellent restaurant, with a cuisine mainly based on the traditional dishes from the Chianti area. Seasonal vegetables are grown in the castle garden and the chef will be happy to delight you with his delicious dishes! The Castle also offers a wine tour with tastings of the typical local Chianti wines. Among the several Castles in the Chianti region, the Castello di Tornano is well worth a visit for a memorable stay where you will feel like kings and queens! Do not miss: benefit from our special GIFT CODE “ICBLTN13″, through which you will get 5% discount, valid from now until the end of 2013, and book your stay at the Castello di Tornano ! This entry was posted in Hotels, Historic and Luxury Castles and tagged castelli chianti, castelli di lusso, castelli in toscana, castello di tornano, castello tornano, castello toscana hotel, chianti castles, dormire in un castello, hotel in toscana, luxury tuscany castles, sleep in a castle, stay in a castle in tuscany, suite nella torre, suites in the tower, tornano, tornano castle, tour vino chianti. Bookmark the permalink.